MARCOM’s “Emergency Planning” Compliance Manual assists facilities in complying with these regulations and helps them prepare for potential emergency situations. By using the Manual, facilities will be able to prepare their own comprehensive Emergency Plan and provide appropriate information to their local Emergency Planning Committee. Existing OSHA, SARA, Title III, and state regulations call for all facilities to meet a number of Emergency Preparedness/Crisis Management requirements. These include that every facility have an "Emergency Plan" that spells out what is to be done in case of an emergency, and that this plan, as well as other important information, be shared with the local Emergency Planning Committee and emergency response groups such as the police, fire department and others. Areas covered in the Manual include the history and background of the regulations, types of emergencies, creation of an "emergency plan", providing an emergency planning "blueprint", communications, a "fill-in-the-blank" emergency plan, incident prevention, crisis management, and more. By filling in the spaces provides in the "Emergency Plan" section, any facility can create a complete written plan that will meet all the requirements in this area. 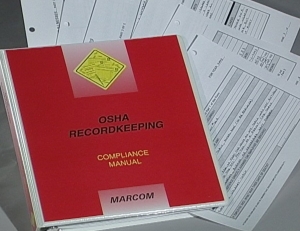 And the Forms and Procedures section contains all of the materials needed to implement a complete compliance program.